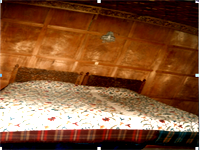 "we have own group of houseboats in dallake front side namely SHERA PLACE GROUP OF HOUSEBOAT which have 10 ROOMS,with SUPER DELUXE comfort.So its very easy for us to make you stay at our houseboat and enjoy unique pleasure.Because of the fact we own the houseboats. we can enjoy special discount on rates with will be very helpful to bring your total tour cost down. "Stay in a houseboat is a life time experience one can have! it is a different experience all together. To make it more memorable we at SHERA PLACE GROUP OF HOUSEBOAT are constantly working harder to make our guest have a pleasant stay while on their trip to the happy valley. Our fleet of boats are fitted with all modern amenities/facilities. 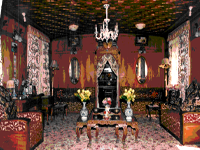 We welcome you to Kashmir valley and wish you a Pleasant stay with us. 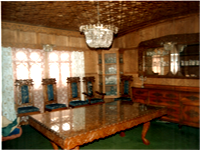 "Kashmir Houseboats" are among the Best & luxury accommodation In Kashmir. Houseboats in Srinagar are located at Dal Lake & Nagin Lake. 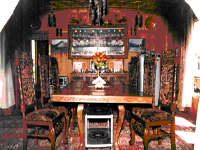 Tourist & travelers prefer staying at Houseboats in Kashmir rather than Hotels. Houseboat holidays are the most Romantic Kashmir Packages. The best of your holidays you have in Kashmir. On Landing in the Valley of Kashmir for the first time the idea most strucks the mind of visitors is renowned "House Boats" who finds it a noval experience for staying possible now where else in the world. 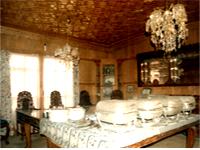 Book our Specially designed Kashmir Tours. "Srinagar Houseboats" Kashmir's One of the leading and largest hospitality enterprises founded in 1950 in providing tour and travel services in the valley. Mandalay houseboats has bagged a number of Distinction Awards in the Field, and Provide Luxury houseboats Accommodation. The Best Places to Visit in Kashmir are Gulmarg, Pahalgam, Sonmarg, Katra, Jammu, Leh, Ladakh, Yusmarg, Mughal Gardens, Daksum, Wular, Manasbal Lake, Shikara Rides, Aharbal, Dachigam National Park, Mata Vaishno Devi. 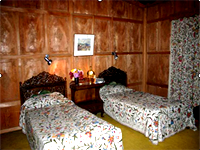 The Good & Budget Hotels in srinagar are located Over looking Dal Lake. Our Dedicated Travel desk provides booking & reservation for hotels & Guest Houses in Kashmir.We organise Mountain Trekking, River Rafting, Tour Packages in Leh Ladakh, Amarnath Yatra By Helicopter, Flight Tickets, Amarnath Yatra.